Domain Mondo's weekly internet domain news review (NR 2018-11-18 with analysis and opinion: Features • 1) EPDP Initial Report: ICANN GDPR Train Wreck #2, 2) Other ICANN news: a. Afilias & .WEB, b. More New gTLDs' Dysfunction, c.ICANN in Paris, 3) Names, Domains & Trademarks: Cybersquatting?, Tucows $TCX, GoDaddy $GDDY, ICYMI re: .COM, 4) ICYMI Internet Duopoly: US & China, and more, 5) Most Read. UPDATE Nov 21-22, 2018: ICANN has published the EPDP Initial Report (pdf) now open for comment by anyone until comments close Dec 21, 2018, 23:59 UTC. A webinar is planned for Thursday 29 November at 14.00 UTC (more info at the link). This will be the only opportunity for public comment, "speak now or forever hold your peace!" Read also the blog post by EPDP leadership Kurt Pritz and Rafik Dammak. Definition of "train wreck" -- a chaotic or disastrous situation that holds a peculiar fascination for observers. UPDATE Nov 20: The EPDP working group's "initial report" will be published for public comment tomorrow, Nov 21, or next week. Latest version here (pdf). UPDATE Nov 19: Editor's note: I removed the "?" from this post's title after the EPDP group spent the first 50 minutes of its call Monday, Nov 19, 2018, discussing what would actually be in the "initial report," and when it would be published--for more "color" review the Adobe recording, meeting transcript (pdf), and chat transcript. The Initial Report (pdf) "latest version." Timeline updates below. Monday's call was also notable in that EPDP Chair Kurt Pritz dropped off the call early, leaving ICANN staff member Marika Konings to chair the rest of the meeting. More info on the Monday meeting wiki page and action items. EPDP meeting Tuesday Nov 20 (wiki page, docs, chat transcript, Adobe recording), 14:00 UTC (9am EST). See also GNSO Council EPDP page and updates. Links to all EPDP meetings' transcripts and recordings are on the GNSO calendar. Other EPDP links: wiki, mail list, action items, Temp Spec, EPDP Charter (pdf), Data Elements Workbooks (pdf). EPDP meetings this week scheduled for Monday Nov 19 and Tuesday Nov 20 starting at 14:00 UTC (9am EST). "Sneak Peek"--as of Friday, Nov 16, 2018, the ‘hopefully almost final’ version of the EPDP Initial Report: Redline version (pdf) and Clean version (pdf). On Nov 13, 2018, Alan Woods (RySG) wrote: "Thank you Thomas [Rickert], and furthermore thank you for your very balanced approach to the very surprising and frustrating events of last night's call. I think you have hit the nail on the head here, and I echo your sentiments in the last paragraph. I got the distinct impression (however far from the truth that may be) that ICANN Org were holding their cards close to their chest, and although having been at the table of the ePDP, appear to be open to rejecting the work of the ePDP. These are discussions which should have been had day 1, openly and transparently, and in fact this proves the fundamental importance of the ePDP actually having substantive discussion of the roles and responsibilities prior to the interim report publication. "To echo Thomas, and indeed Diane, who I also recall made the point very well during the meeting, the hopes and wishes of the parties as to the allocation of roles and responsibilities are irrelevant; such matters are decided with reference alone to the legal reality and legal facts as to the roles held in the processing situation. I would further note that a statement made last night, (with the stated proviso that my audio dropped and I rejoined just as this utterance occurred therefore I will need to recheck the transcript for both context and accuracy), that ICANN Org is not a controller as it does not itself perform actual processing of the data; this concept of controllership is simply incorrect. I also heard this statement in Abu Dhabi from ICANN and indeed from the same person, and I also then raised my objection in an attempt to clarify. To hear it repeated again, last night, was worrisome (to put it mildly)." "I personally think, receipt of the memo, in its entirety, and not a mere summary, as was promised in the dying moments of the meeting, is now hugely necessary. I furthermore think at this point the question of independent outside counsel for the eDPD is now, moreso than ever, a required step." Advocates draw battle lines over national (US) Privacy Law--TheHill.com. Facebook Failed to Police How Its Partners Handled User Data--NYTimes.com. GNSO Council: " ... The New gTLD Subsequent Procedures PolicyDevelopment Process Working Group is currently developing policy that may ultimately instruct PTI to place new gTLDs into the root. However, it is not anticipated that delegations would occur in FY20 [ending June 30, 2020]." Editor's note: Jeff Neuman SOI. See also this. c. ICANN in Paris: What Happens When A Non-Profit Has Too Much Money? Among other things, this. “It is not cybersquatting when someone comes along and decides to adopt your domain name as a trademark. There is a secondary market in domain names. People buy and sell domain names every day.”--Attorney John Berryhill. 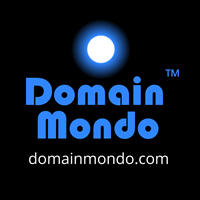 Editor's note: also never adopt a hyphenated .COM domain name for your business without getting the exact match .com domain with no hyphen, e.g., tmobile.com redirects to T-Mobile.com. c. GoDaddy $GDDY Vice President of Investor Relations & Strategy, Sam Kemp, will host meetings at the Barclays Global TMT Conference in San Francisco on Wednesday, December 5, 2018. GoDaddy's most recent investor presentation will be available on its investor relations website at https://investors.godaddy.net. "These designated authorities [e.g., Verisign] are trustees for the delegated domain [.COM], and have a duty to serve the community. The designated manager [e.g., Verisign] is the trustee of the top-level domain for ... the global Internet community. Concerns about "rights" and "ownership" of domains are inappropriate. It is appropriate to be concerned about "responsibilities" and "service" to the community." "Anyone could justifiably argue that ICANN "trashed" the concept of "gTLD trusteeship" for all of those gTLDs ICANN created after 1998, and obviously neither the ICANN Board, ICANN org, nor its so-called "ICANN community" have ever acted like a responsible "owner" or "steward" or even "trustee" of ANY gTLD, with the possible exception of the legacy gTLD .INT, which is why your argument is naive that the ICANN Board would now reform itself and recognize the "global public interest" in not only selecting a "trustee" for .COM, but also limiting that trustee's fees. ICANN is incompetent, corrupt, unfit (pdf) see p.12 and exhibits. Thankfully, the U.S. government is still exercising its historic "stewardship" role over .COM via the Cooperative Agreement notwithstanding our disappointment with the pricing "giveaway." If the U.S. government ever steps away from its historic stewardship role re: .COM, .COM and its registrants will be exploited for their "maximum profit potential" by ICANN and Verisign and .COM will be ruined just like ICANN and Verisign are now doing with .NET." Internet Duopoly: "If I may be politically incorrect, there are two kinds of internet emerging: Californian cyberspace and Chinese cyberspace"--French president Macron at IGF2018--see also Chair's Summary (draft) (pdf). Internet Freedom: "Moroccan Internet Users Are ‘Partially’ Free"--moroccoworldnews.com. ITU Plenipot ended Nov 16, 2018, in Dubai, more here.